Freezing access to Eureka research on Australian attitudes to cultural diversity removes critical knowledge from public debate 1998: produces uncritical program of Living in Harmony rather than addressing racism. Reports released under FoI 2011/12. Opposition waste watch committee attacks humanities and social science research, pledges to remove funding from ARC 2013. Access and Equity Inquiry: 2012 That the Australian Government consider adequacy of current provision for research, including national research priorities, on the practical outcomes of the migration program. This assessment should particularly include research on interactions between the Australian Government and Access and Equity target groups and interactions with temporary entrants. Immigration Department research publications: primarily program focussed though increasingly in recent years more broadly spread as governments slowly learn value of social research such as Current and Emerging Drivers for Social Cohesion Division and Conflict. Potentially subject to Government control as Minister approves release. Now split between two portfolios, and possibly due for pruning. 7.31 The Committee recommends increased collection, by the Australian Government, of accurate and up-to-date disaggregated data in order to identify trends in migration and multiculturalism, and to measure and address CALD related disadvantage. 7.32 The Committee recommends the establishment of a government funded, independent collaborative institute for excellence in research into multicultural affairs with functions similar to that of the former Bureau of Immigration, Multicultural and Population Research. The institute should have a statutory framework articulating key principles of multiculturalism, functions in research and advice to government, and a cross sectoral independent board. This institute should actively engage with local communities, private business and non-government organisations and provide data for better informed policy. The qualitative and quantitative research capabilities of the institute must enable up-to-date and easily accessible data and research analysis on social and multicultural trends. 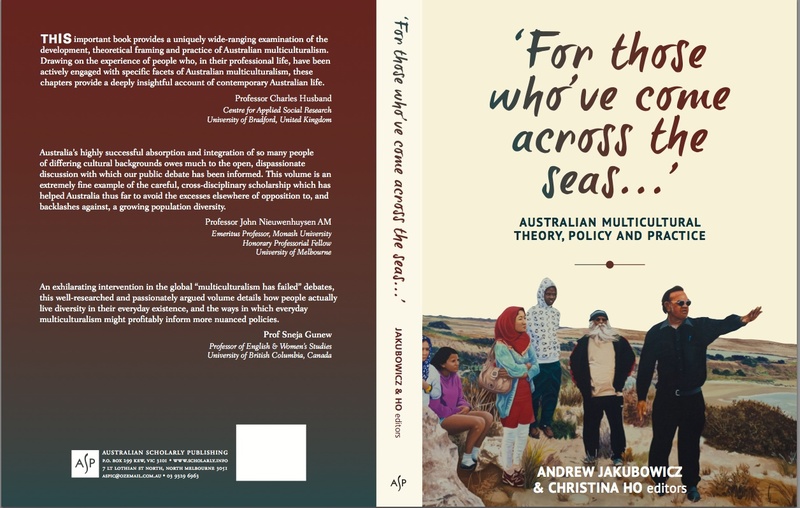 More dedicated research into long-term migration trends occurring within Australia and the social effects of migration—such as the local impacts of migration on cultural diversity and social inclusion within Australian society—should be supported. The Committee particularly recommends an increased emphasis on qualitative data collection. This entry was posted on November 5, 2013 at 10:20 pm and is filed under Uncategorized. You can follow any responses to this entry through the RSS 2.0 feed. You can leave a response, or trackback from your own site.